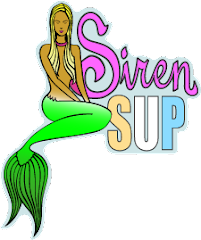 Kristy's Awesome Surf Adventures: SUP by Boat! A girl and her boat, a match made in heaven! Paddling the mangrove canals along the Intercoastal Waterway. The parental crew, floating around. Heading back from an evening mangrove paddle. My boating buddy and 1st mate, Lindsey! We got to check out this feeding manta ray from our SUP boards. Kara and Wendy paddle, or float, over from their boat! Lindsey coming back from an ocean paddle with the manta ray! I miss Florida, well I don't miss the flat spells, but with a SUP and a boat everyday is an adventure no matter what size the surf is. Although my last 2 days visiting my family in Jupiter where blessed with 2 ft. peelers, for the most part there were no waves to be found. So, my friend Lindsey and I took the boat out to look for some new paddle spots and adventures. The boat took us to some cool mangrove canals and out in the ocean we found a manta ray to paddle with. The boat is an added plus, but really all you need is your board, paddle and sunscreen to have some really good fun! Oh dear lord Kristy Murphy what a fun weekend!!! Cannot wait for your next trip. And I am so in for the bahamas!!! !